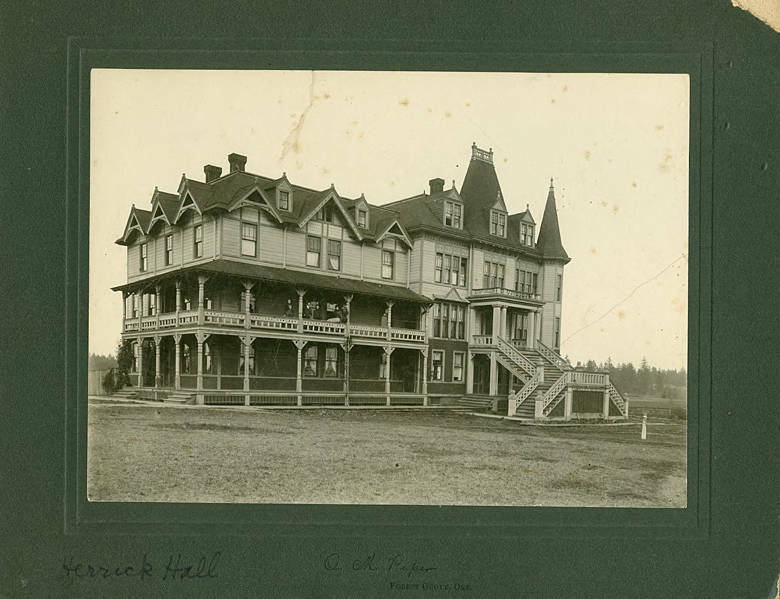 Photograph of Pacific University's Herrick Hall. This Herrick Hall served as the ladies' dorm from 1884-1906. The building burned down in 1906, and was replaced by a brick version in 1910. 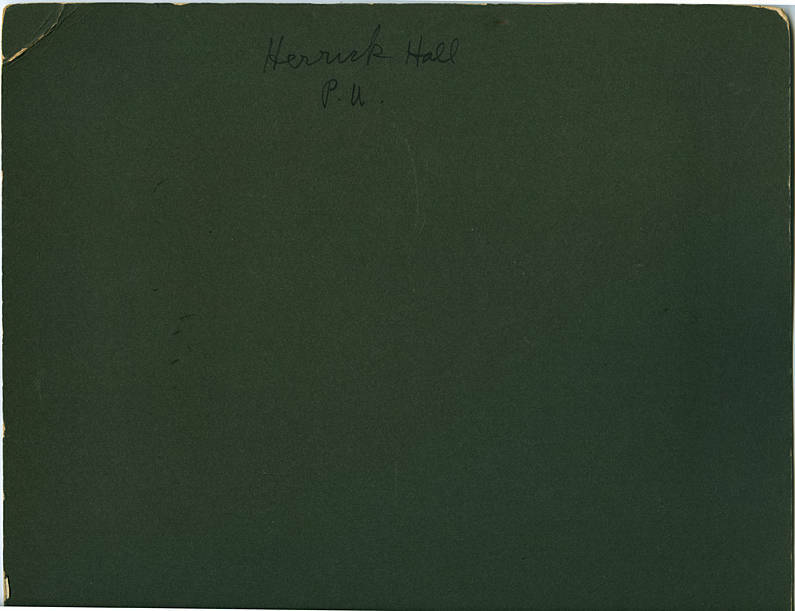 [back] Herrick Hall P. U.